This video shares an eye-opening survey result on buying pet products online. 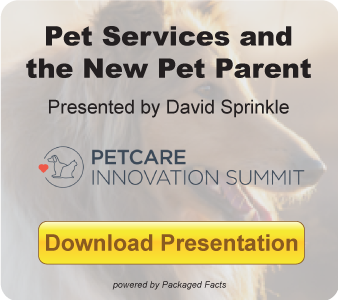 The data in this video comes from U.S. Pet Market Outlook, 2017-2018. Watch this video to find out how quickly revenues for security services are growing in China. Learn more by reading the Global Security Services Market Industry Study by The Freedonia Group. Which consumers are embracing energy drinks the most? How much is the market expected to expand? View this video to learn interesting insights from Energy & Sports Drinks: U.S. Market Trends & Opportunities. Click to MarketResearch.com's YouTube page to see all our recent uploads. Subscribe to our channel to stay up to date on the latest research. The Freedonia Group and Packaged Facts are divisions of MarketResearch.com.